A laid back, homely atmosphere. 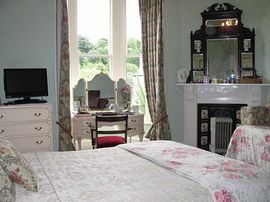 Chris & Heidi welcome you to Penrose, their beautiful Victorian home with spacious rooms and plenty of original features. Prepare to be spoilt when you book into Penrose B&B as Chris and Heidi pride themselves on their hospitality and service, plus the little extras that will make your stay memorable. 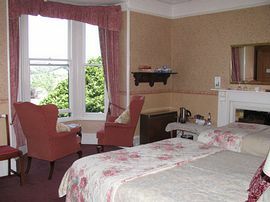 We have a range of large double/twin/family ensuite rooms. All the bedrooms have flat screen TV with DVD/CD player and Freeview, hairdryer, extensive beverage tray, bottled mineral water, sweets, and toiletries. The ensuites have electric showers plus fresh towels, shampoo/conditioner and shower gel. Breakfast is full cooked English, which comprises of local bacon, local sausage, fried or scrambled local free range egg, hash brown, tomato, black pudding, mushrooms and vegetarian sausage, or 2 kippers or smoked salmon and scrambled eggs, plus as much cereal, toast, orange juice, fruit, homemade jam, marmalade, tea and coffee as you want. If you have any dietary requirements, please let us know in advance and we will try our best to help you. We welcome children of all ages and pets, as we only have a cat. Wedding parties and large family groups are also welcome. There is off road parking, and the garden is for all to share, and there are several seating areas. Smoking is fine in the garden, but not in the house as we have a fire alarm. 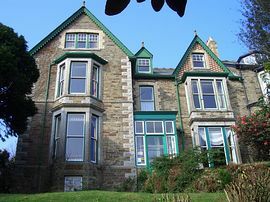 There are lots of amenities close by, including a golf course, train station, outdoor activities by local arrangement, castle, coastal walks, cycling, gardens, fishing, sailing and of course The Eden Project. The local beach is a 10-minute drive away and the north west coast is only 40 minutes. 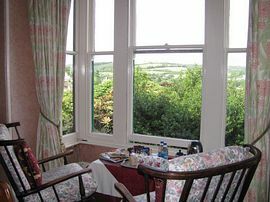 Lostwithiel is well placed to explore the whole of Cornwall. 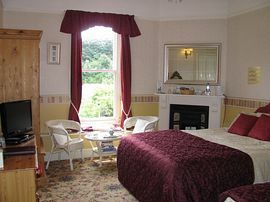 £20.00 in winter upto £50.00 in summer per person per night based on 2 people sharing. £5.00 to £25.00 per child per night when sharing with parents. We are open all year including Christmas. Pet Facilities: Pets are allowed. By prior arrangement please. Smoking Facilities: Smoking is not allowed. Please smoke outside there is a cigarette bin outside and an umbrella for those rainy times. Special Diets Provision: Special diets are catered for. We cater for vegetarians. We also have a fridge guests can use for anything they need to bring. 'The service and attentiveness shown during our stay was the best that we could ask for. Lovely house and room. Thank you very much' Diane and Eric. 'Thanks for a fantastic welcoming stay, it felt like going to my aunties for a weekend! Food was great and room lovely. Thanks again!' Wendy & Matthew. 'Thank you for such a lovely stay. The beautiful room and facility was excellent. Heidi, you are lovely, thank you for all your good advice on where to go and eat, and making us feel so at home. We would recommend Penrose to all our family and friends. Thank you' Lynsey and James. We are just off the A390 on the outskirts of Lostwithiel on the St Austell side of town. You turn onto Scrations Lane and we are the first house on the right. Lostwithiel station is a 10 minute walk away, across the bridge straight up North Street to the main road, turn left, through the traffic lights up the hill and you will see our sign on top of a high wall on your right. We can pick you up with a little notice!